There are a number of questions surrounding the high profile arrest of the Mexican drug lord known as El Chapo Guzman. Not surprisingly, none of these questions are being asked by anybody in the corporate controlled media. Instead, they are acting like this was just a straight forward arrest which is curious considering Guzman’s history. 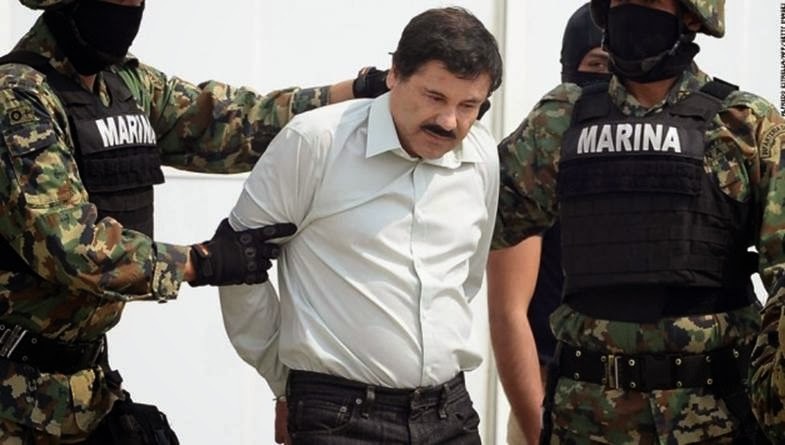 Guzman was said to be the man in charge of the Mexican Sinaloa drug cartel which has been called one of the most powerful drug cartels not just in Mexico but the entire world. The cartel has historically maintained close ties to the United States government which is one of the primary reasons why it has grown into such a successful business enterprise. None of this history is being discussed giving people a completely false notion of what’s really going on. One of the first questions is if the man being paraded around as El Chapo Guzman is really El Chapo Guzman or an actor. Looking at the man that we were told was arrested and earlier photos of Guzman there’s a possibility that who we are being shown is not the real guy. For all we know this Guzman character who has accumulated billions of dollars from his drug operation may have decided that he wanted to retire. What better way to retire than to get his buddies in the United States government to fake his arrest. This might sound far-fetched but it really isn’t considering that it is an admitted fact that the Drug Enforcement Agency or DEA maintained a close working relationship with the cartel since the 2000s. An investigation from El Universal a Mexican media outlet published court documents revealing a correlation between the cartel’s rise and the DEA’s contact with one of the cartel’s lawyers. The cartel was essentially allowed to smuggle billions of dollars of drugs into the United States in exchange for information on rival cartels. If you read between the lines it is clear that a high level business decision was made in which the United States government decided to do business with just one cartel. This is how the Sinaloa operation became so big. Any of their competitors were selectively targeted. Even more interesting is the fact that the cartel has been responsible for supplying the vast majority of cocaine, heroin and methamphetamines to Chicago. The cartel made this city one of their most important distribution points. Barack Obama and his regime have numerous connections to the local power players in Chicago which raises even more questions. It is doubtful that Guzman would have chosen Chicago as a major distribution point for his products if he wasn’t given some sort of guarantee that his operations would be secure. The Fast and Furious gun running operation which became a huge scandal for the Obama regime was actually designed to supply weapons to the cartel. The story about tracking weapons to find drug dealers was just a cover story for the real operation. Between this and the Chicago connection, it is fairly obvious that the cartel was doing business with the Obama regime. On top of this, it is hard to believe that Guzman’s alleged arrest came just days after Obama went down to Mexico to meet with Canadian Prime Minister Stephen Harper and Mexican President Enrique Pena Nieto. Obviously one of the primary discussions Obama had with the Mexican President involved the cartel. It would be ridiculous to think otherwise considering the timing of the arrest that followed. The story surrounding Guzman’s alleged arrest was said to have involved a joint operation between Mexican authorities and the DEA. Supposedly they were able to easily capture him after locating him in a Mazatla Mexico hotel. In the course of just a few days some of his close associates were said to have turned on him and provided information on his whereabouts. This story is a bit difficult to believe considering this was a man with expansive resources. It makes no sense that he would have put himself in such a vulnerable position to be captured so easily nor does it make sense that so many of his close associates would turn on him in such a short period of time. The media has made his arrest sound like it was the result of hard police work but in reality the DEA probably already knew where this guy was to begin with. After all, the DEA was doing business with this guy for years. No matter how you look at it, there is nothing about this story that adds up. Either Guzman’s arrest was completely faked or the DEA and the Obama regime decided to turn on him. It seems to make more sense that his arrest was staged and the guy being paraded around in front of the media is an actor. Guzman was involved in the drug business for several decades so it would make sense that he might want to retire and a staged arrest would allow him to gracefully exit. His business connections with the Obama regime, his associations with the DEA and his business dealings in Chicago seem to make this a likely possibility. Even a satire piece suggesting a similar possibility was put out by Huzlers.com which will undoubtedly help discredit people who question if the arrest was staged. 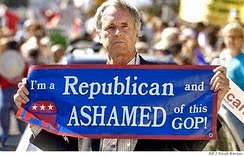 After all, if you make the truth seem like fiction it makes it easier to discredit anyone attempting to tell the truth. Whatever the case, it is obvious that we are not being told the full story by anyone in the federal government or by anyone in the corporate media. At the very least, the Obama regime’s business dealings with the cartel should be the subject of a large scale investigation. Unfortunately this will not happen because the CIA, DEA and other government agencies have been involved in the drug dealing business for many years now. This is just standard operating procedure for the federal government.